Ford remains the most popular brand in the UK, with figures showing an increase in sales helped by the its new pricing strategy came into effect across the passenger car range. With 18,442 registrations in July and more than 175,000 so far in 2010, Ford is the overall car sales leader with a 12.1 per cent share of the market. 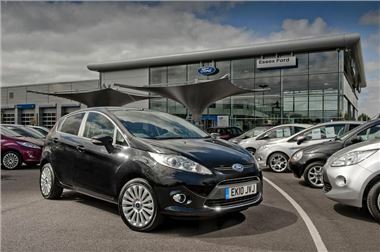 The excellent Ford Fiesta was the overall best seller in July and for the year to date while the Ford Focus maintained second place in the sales chart for registrations to in 2010. Ford has reduced official recommended list prices on its medium and small cars from August, following a similar move on its large cars in April. Ahead of these price changes, dealers have been offering special promotions which mirror these lower prices. Nigel Sharp, managing director Ford of Britain, said, "Ford's clearer pricing policy will confirm to our customers that Ford provides the best value, that they will get high-quality and technically advanced features as well as a competitive price." Ford's commercial vehicle sales were also up in July, lead by the Ford Transit which was the most popular van in the medium commercial vehicle market. Transit sales for July and for the year to date were 3,905 and 24,987, respectively, compared with registrations of 2,134 and 20,470 for the same periods in 2009.